Login with Facebook to add your own app! All Vork-powered web sites have an automatic application-installer that is accessible from within a browser by navigating to the /vork page on your own web site. In order to see the installer you must be accesing your site as a "superuser"; what constitutes a superuser is, by default, anyone accessing your web site directly on the server (not over the Internet.) This usually means that you are connecting to your web site with the URL http://127.0.0.1 or http://localhost and not remotely via your domain name http://www.EXAMPLE.com. You can modify the criteria that determines a superuser from within the isSuperuser() method in your .config file. If you go to the /vork page while accessing your site as a superuser you will see the installer, otherwise you will see the normal front page of your web site. From the installer, simply upload the app through the 1-step installer and it will be ready to use immediately. Upload your app in the form at the top of this page (if you do not see a form then you need to login first) - if your app is not formatted or zipped correctly then the form above will show an error saying "not a valid app file". If it uploads and then takes you to another page where you can add optional-information then you have successfully added your Vork App! 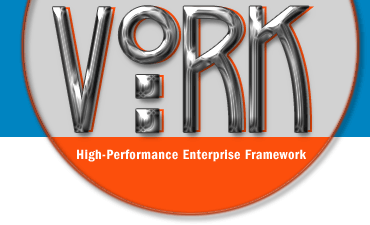 Use the tools included with Vork, do not rebuild existing functionality. This is especially prevalent when accessing MVC objects - use get::component(), get::model(), get::element(), load::element(), get::helper(), etc. - do not use include/require or manually-instantiate classes via the "new" operator.